Modular hotel construction is a relatively new construction method that has become popular in Europe and is now gaining steam in the US because of the faster construction time and lower costs. Companies that are looking to build a new hotel should look towards utilizing modular construction for their next project due to the number of benefits associated with this new concept. 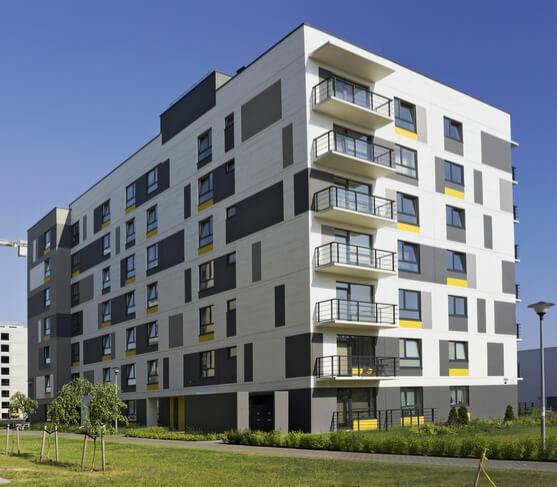 What exactly is modular construction? By definition, it is a process in which a building is constructed off-site in individual modules, in a controlled manufacturing facility, using standard building construction materials, which is then assembled together at the final building site. In simpler terms, it’s just like building with stackable blocks. Here are five benefits of modular construction to help you make your decision as to why you should build this way in the future. What Are the Benefits of Modular Construction for Hotels? When you use modular construction efficiently you have the opportunity to build your projects 30-50% faster than conventional construction methods. Some key factors to consider for faster construction is the weather, transportation, the site readiness when the modules arrive amongst others. Since most of the construction can happen while site and foundation work is happening elsewhere, you are able to cut down the time it takes to build an entire structure outside. Most projects have delays due to inclement weather, and other factors but when you build inside you reduce the risk of missing deadlines. What is great about this type of construction is that there is more flexibility when it comes to relocation and reuse of materials. Because each module can be disassembled, you have the opportunity to reuse the old materials to create a new module, which minimizes the amount of energy expended to create a new building to meet your evolving needs. Another huge benefit of modular construction is that your designs can be completely customizable. Before you begin construction you have to make a decision between whether to use standard lumber or steel and concrete. Obviously steel and concrete make for a stronger building, but standard lumber has its own unique benefits. When it comes to space and budget, modular buildings are designed to fit your exact needs. This means that you have the ability to create unique floor plans while keeping the comfort of your guests in mind. Not only are modular buildings built with the same materials and comply with similar building codes as traditional buildings, but they are also virtually indistinguishable from hotels that are built on site. When you construct a module indoors, you allow your workers to work in a controlled environment with all their tools and equipment at their disposal. Not only does this lead to more structurally sound buildings but you are keeping your workers safe from on-site injuries and accidents. Although some people will view modular construction as a ‘cheaper’ alternative to traditional hotel construction, it does not necessarily mean you will receive lessened quality. Due to shorter construction timelines, your hotel is able to bring forward its opening date (sometimes by 6 months or more). This allows you to start generating cash earlier, which enables a shorter period of time for stabilization. In addition, modular construction eliminates the hidden uncertainties that arise with traditional construction. Better quality control, less material waste, shorter construction timelines, lower labor costs, and stronger buildings will in most cases lead to lower overall costs. For more information about the benefits of modular construction for hotels please contact AVANA Capital to find if this is the right concept for you. Help is just a phone call away or you can fill out an appointment request at AVANA Capital and one of our experts will be in touch with you to discuss financing for modular hotel construction.